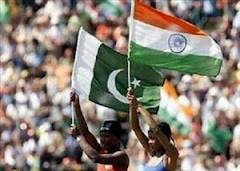 The Indian team will play its 3rd league match on 15 June 2013 against the Pakistan in ICC Champions Trophy. As we know that India had already entered into the semi final of the ICC champions trophy 2013 by beating the South Africa and West Indies. Indian team had played like the lion in the last two matches and thrash the opponents with the good margin. Pakistan team had both lost their league matches and already out of the ICC champions trophy 2013. As we know that this match will not play any role for entering in the semi final for India or Pakistan but its the fact that the audiences in India and Pakistan always consider the every match between India and Pakistan like the world cup final. Both the teams play their matches with good momentum and try to win over each other. Every player in the Indian team is in better form but opponent Pakistan's players are not doing well from last few matches. According to the recent performances of the Indian team it seems that India will thrash the Pakistan with very good margins but as we all know that the cricket is the game of uncertainty and result cannot be committed at the end. 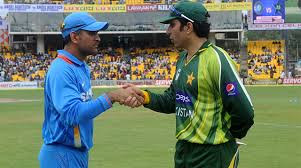 As per the latest comment by the Pakistani skipper Misbah-UL Haq there is no pressure on Pakistan on this game because this is one game and no impact on Pakistan for coming on board in ICC champions trophy semi final but as all know certainly there will be a pressure on Pakistan as India has good edge over winning this game. India captain Mahendra Singh Dhoni had already exposed their strategy that they will play same like the previous game in which they record the good winning with west indies. Your comment is appreciated.. You can express your view on the result in below the comment section.